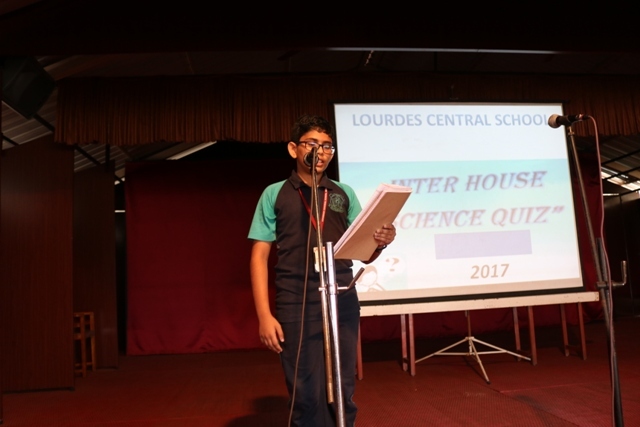 The Science department of Lourdes Central School conducted Inter house Science Quiz on 6th September-2017 in the Roof Top Auditorium. 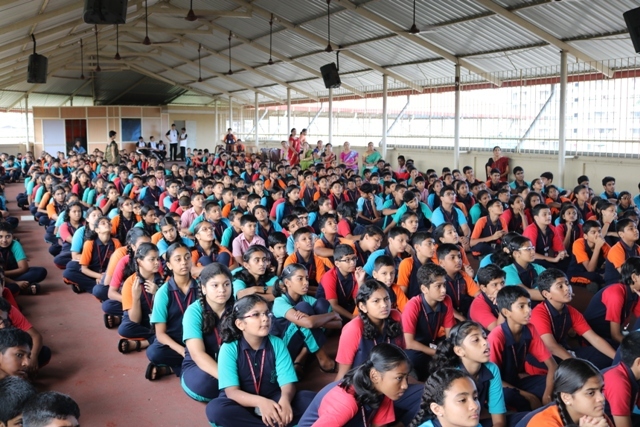 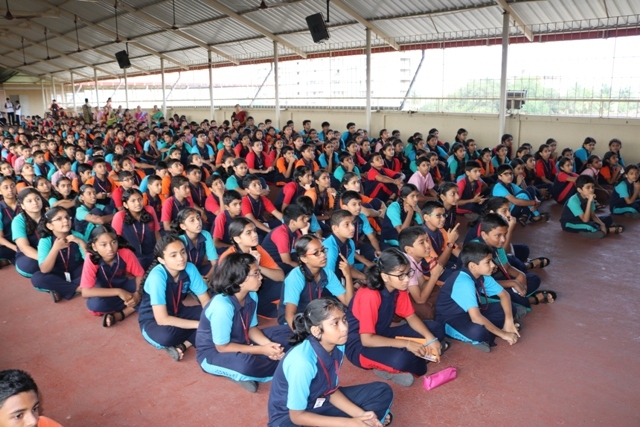 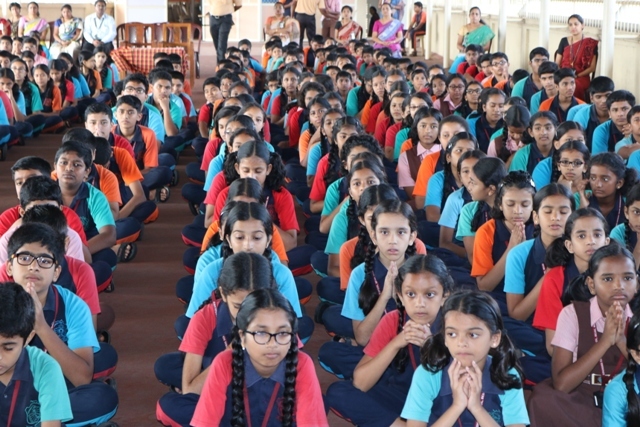 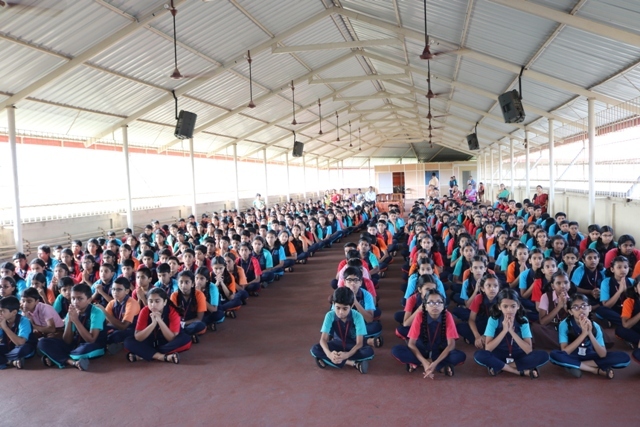 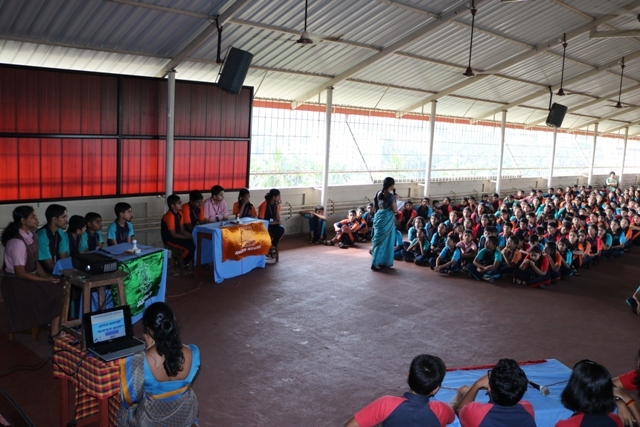 This event was held for the students from class 6 to class 10. 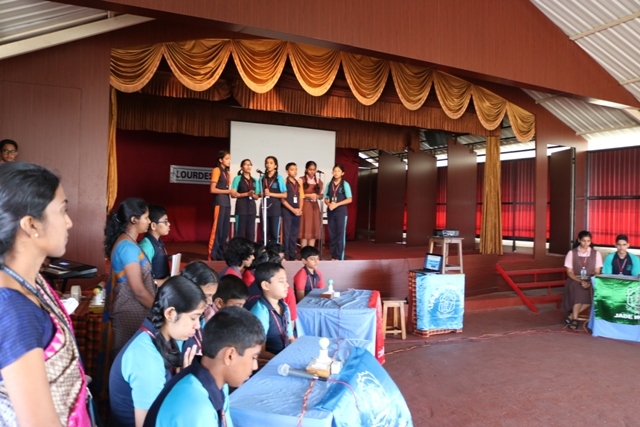 It started with the prayer song sung by the students of class 8. 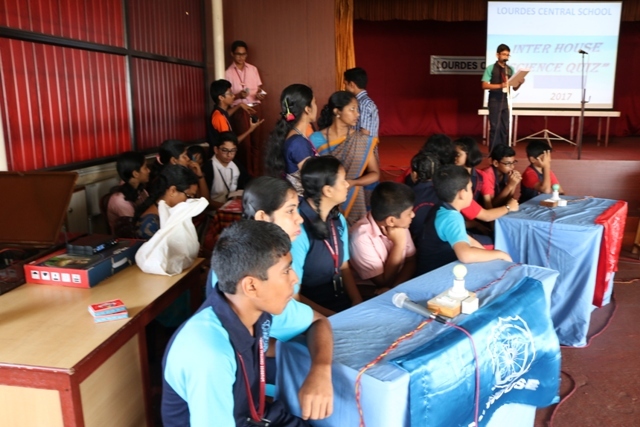 Verkey Mathew of class 9C welcomed the gathering. 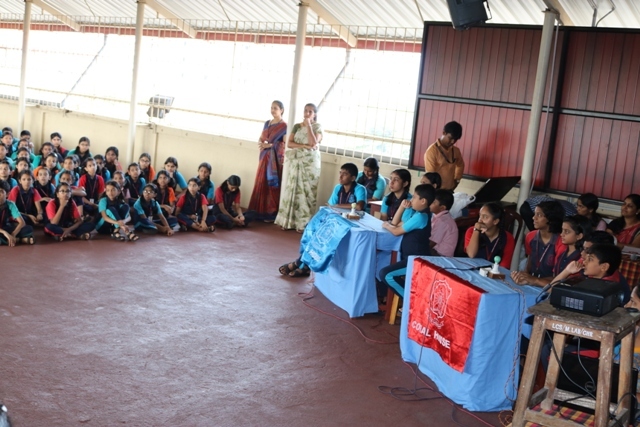 The Vice Principal Ms. Belita Mascarenhas wished good luck to the finalists of the Quiz and motivated them to perform well. 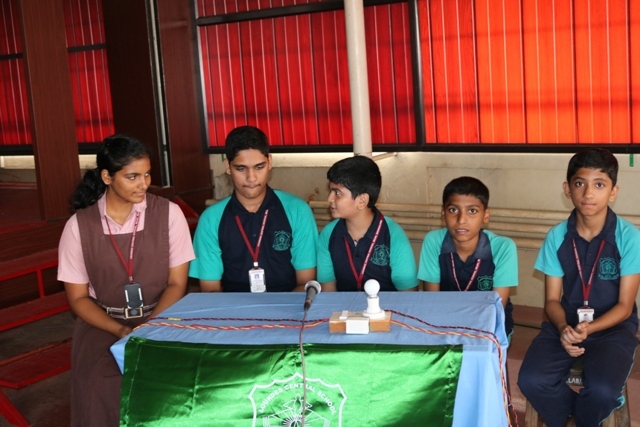 The MC of the day was Tushar Shivam of class 10A. 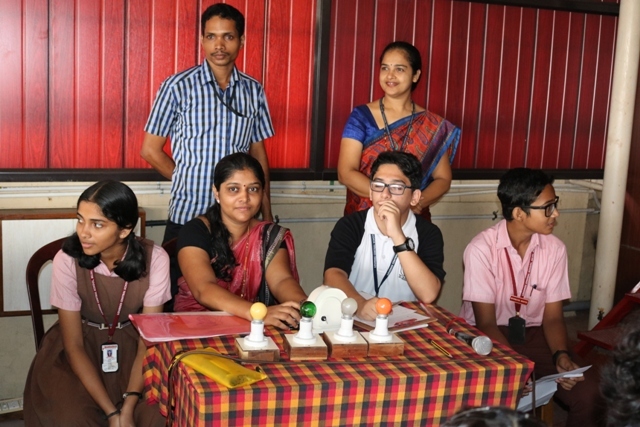 He introduced the contestants of each house. 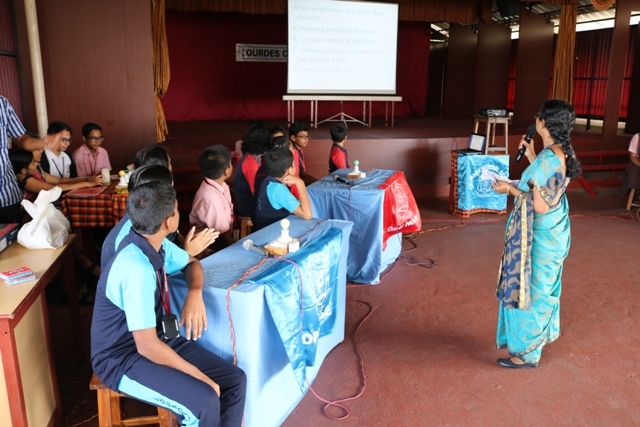 The Quiz Master Ms. Sharmila Colaco read out the instructions and the rules of the quiz competition. 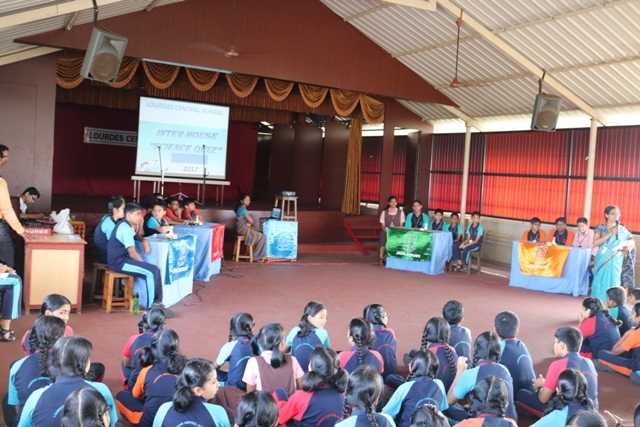 There were altogether 5 rounds, namely Question & Answer round, MCQ round, Visual & Buzzer round, Clue round and Rapid Fire round. 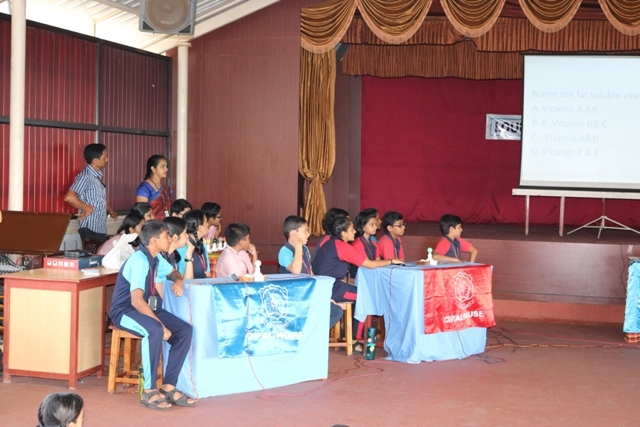 At the end of each round, scores were announced. 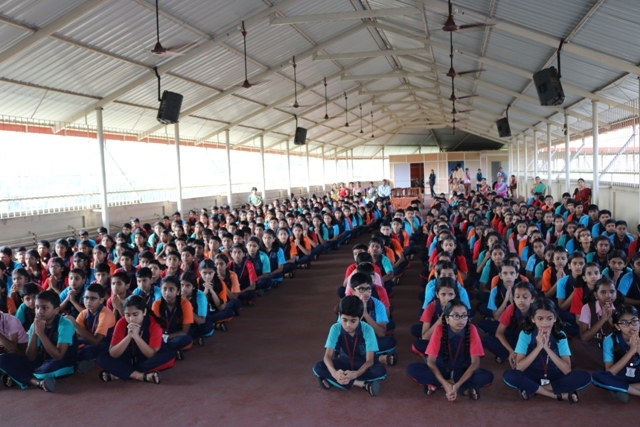 The Amber house won the competition by 85 points, followed by the Opal house. 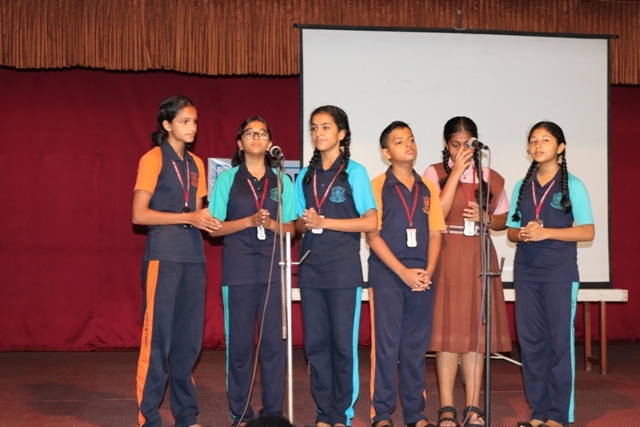 Anshula of class 10A proposed the vote of thanks. 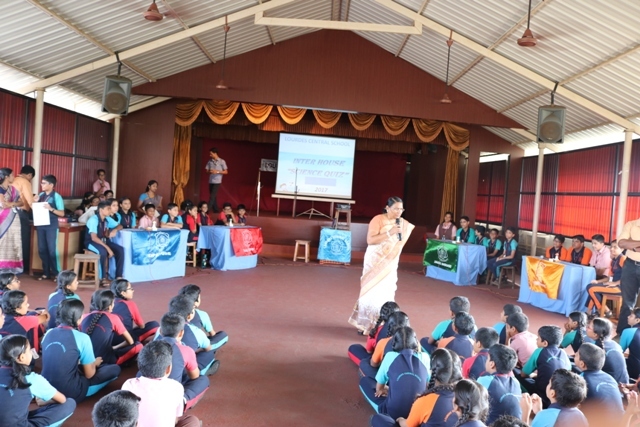 Ms Linet D’Souza and Gretta Menezes successfully coordinated the event.